Birmingham's Commonwealth Games 'homecoming' is in full swing, with many of Team England's successful athletes enjoying the atmosphere and the sunshine. 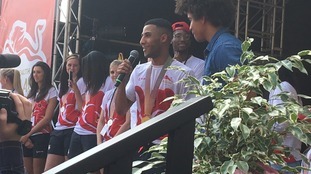 Gymnast, Dominick Cunningham from Birmingham won gold in the men's all-round team event, and bronze in the individual vault event at the Gold Coast Games. He gave the watching crowds a look at his gymnastic prowess. 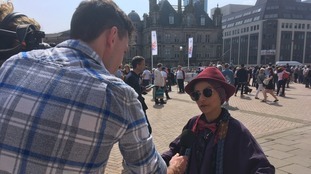 Thousands are attending the event in Victoria Square, with a live stage show with athletes and performers on show, as well as getting to try out some Commonwealth sports themselves.